The new Mercedes-Benz SUV and Wagon lineups feature some of the most exciting advancements in performance, comfort, and safety. 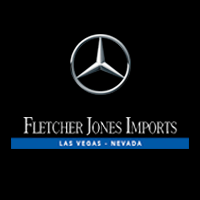 Whether you’re shopping for a fuel-efficient SUV, a luxurious wagon, or an SUV with coupe-like power and handling, there’s something for every Pahrump or Summerlin driver in Fletcher Jones Imports’ new vehicle lineup! Matched with potent engines, sturdy drivetrains, and functional interiors, the newest Mercedes-Benz SUVs and Wagons are built to impress. From the GLA 250 SUV to the E 450 4MATIC® Wagon to the AMG® G 63 SUV, the Mercedes-Benz SUVs and Wagons outmatch many competitors’ capabilities. The SUVs range from 208 to 577 hp, while the wagons generate 362 to 603 hp. 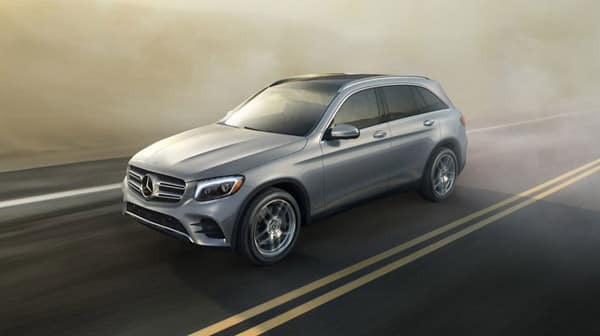 Furnished with independent suspension systems, such as AIRMATIC® or AMG® Sport Suspension, these vehicles make quick work of rugged Las Vegas terrain, particularly with available 4MATIC® all-wheel drive. DYNAMIC SELECT®, which is found on most of these five- to seven-seaters, allows drivers to switch between driving modes for comfort- or sport-themed drive quality. On every Mercedes-Benz SUV and Wagon, you’ll find Active Brake Assist — a radar-powered system that initiates emergency braking if a probable frontal collision is detected. Another standard system is ATTENTION ASSIST®, which helps you stay alert on long drives and notifies you when it’s time to rest. SmartKey®, adaptive braking technology, multi-way airbag protection, and rain-sensing wipers are just a handful of across-the-board safety enhancements. The higher-tier models, such as the GLS 550 SUV, include active LED headlamps, Lane Keeping Assist, and Blind Spot Assist as standard. Equipped with 7- to 12.3-inch display screens, each model provides a central control system for Las Vegas drivers, making it easy to access handsfree calling, audio streaming, and available navigation in no time at all. Optional features, such as built-in Wi-Fi, advanced voice control, and high-end sound systems, take comfort above and beyond with state-of-the-art technology. 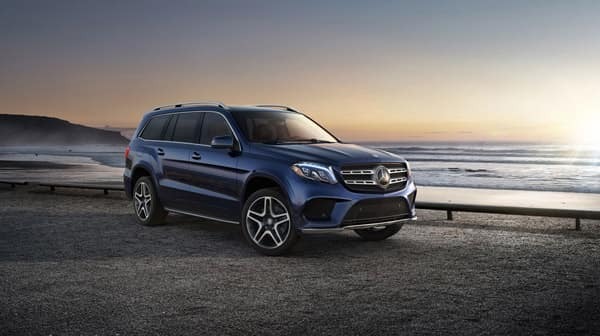 Advanced Safety: From energy-absorbing crumple zones, to collision-mitigating PRESAFE®, to ATTENTION ASSIST®, the Mercedes-Benz SUVs continue to break barriers in 5- to 7-passenger safety, thanks to mechanical excellence and early-warning systems. 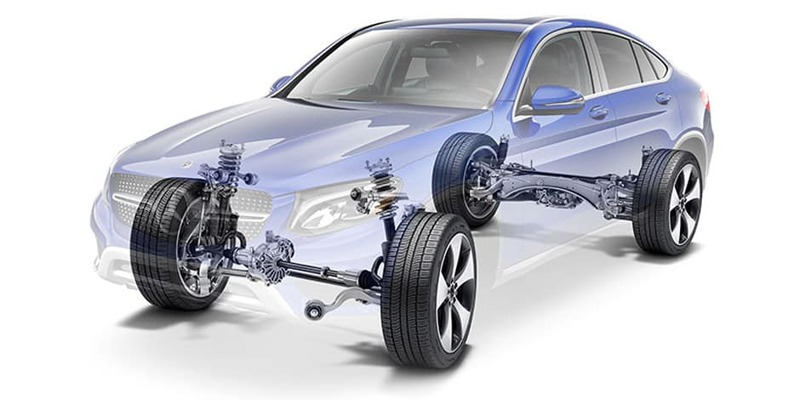 4MATIC® All-Wheel Drive: Be it rainy weather or a poorly maintained road, 4MATIC® all-wheel drive uses lightweight core components and a cutting-edge 4-Wheel Electronic Traction System (4ETS®) to intelligently allocate torque, prevent wheel-spin, and adapt to irregular conditions. 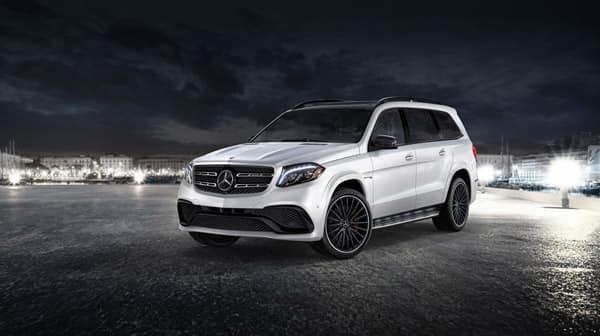 Exceptional Handling: The Mercedes-Benz SUVs offer the full handling package: high-powered engines, multi-mode transmissions, adaptable suspensions, and high-performance brake systems. Uncommon Comforts: No matter the model you choose, you’ll enjoy hand-polished trims, smooth upholstery, easy-access technology, and ample passenger and cargo space. PRESAFE®: Using a multitude of sensors, PRESAFE® detects the telltale signs of a collision or rollover, such as skidding or swerving, and responds immediately to help mitigate the severity of an accident. To better protect you and your passengers, this system automatically tightens the front seatbelts, closes the windows/sunroof, and adjusts the front head restraints. Active Distance Assist DISTRONIC®: With the help of radar technology, Active Distance Assist DISTRONIC® scans the road ahead to pick up on slowing or stopped vehicles and can adjust your speed accordingly. ATTENTION ASSIST®: Drowsiness during long drives is unavoidable; however, ATTENTION ASSIST® helps you manage it by noting over 70 parameters of your driving style within a few minutes. Over the course of your trip, the system continues to monitor your attention levels and responsiveness, and it will notify you when it’s time to take a rest. Active Blind Spot Assist and Active Lane Keeping Assist: For safer lane changing, Blind Spot Assist uses rear-bumper-integrated radar sensors to detect vehicles in your blind zones and displays a red icon to encourage caution. 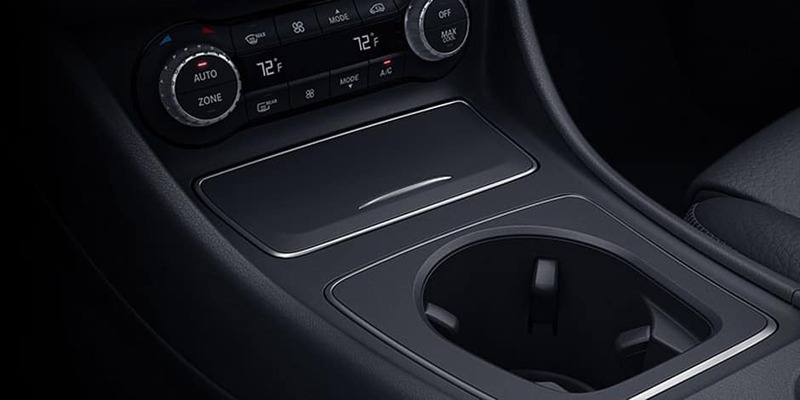 Lane Keeping Assist, on the other hand, scans lane markings using a forward-facing camera and vibrates the steering wheel if you begin to drift from your lane. Adaptive Highbeam Assist: Designed to maximize your visibility without negatively affecting other drivers, Adaptive Highbeam Assist uses a forward-facing camera to detect the lights of other vehicles. The system then pinpoints the position of the approaching vehicle and adjusts your vehicle’s headlamps to illuminate the road ahead without causing glare and temporarily blinding other drivers. Night View Assist® PLUS: On dark roads, Night View Assist® PLUS paves the way, thanks to invisible infrared beams and a specially designed camera. Using the digital instrument cluster as a display screen, the camera projects a view of the road ahead and uses thermal imaging to draw attention to any pedestrians and animals in your path. Active LED Headlamps: Offering maximum illumination via intelligent technology, active LED headlamps create beams that mimic how humans see in the light of day. When you turn the wheel or change your speed, the headlamps automatically adjust to provide optimal visibility, based on your driving style. 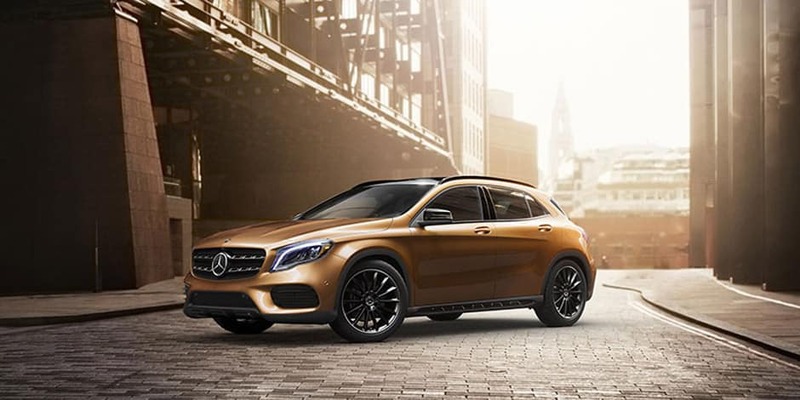 Starting at $33,950, the 2019 GLA SUV creates 208 to 375 hp. 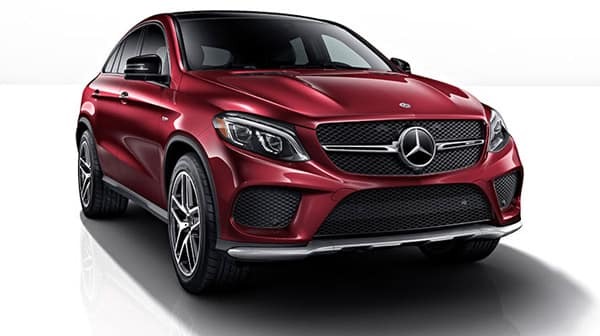 Outfitted with two 2.0L turbo 4-cylinder engines, one of which is handcrafted by AMG® Master Engine Builders, the GLA offers a choice of front-wheel drive and 4MATIC® all-wheel drive, while bragging dual-zone automatic climate control, an 8-inch color display screen, and up to 43.6 cubic feet of cargo space. 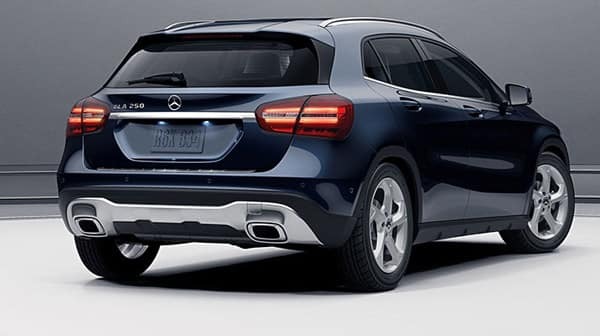 Available in rear-wheel drive and 4MATIC® all-wheel drive configurations, the 2019 GLC SUV — $40,700 starting MSRP — relies on a 241-hp 2.0L turbo 4-cylinder, a hybrid powertrain, a 362-hp AMG®-enhanced 3.0L biturbo V6, and a 469-hp AMG® 4.0L biturbo V8. Offering up to five drive modes, DYNAMIC SELECT® adapts to suit drivers’ needs, as do the split-folding rear seats, which fold down to reveal up to 56.5 cubic feet of cargo space. 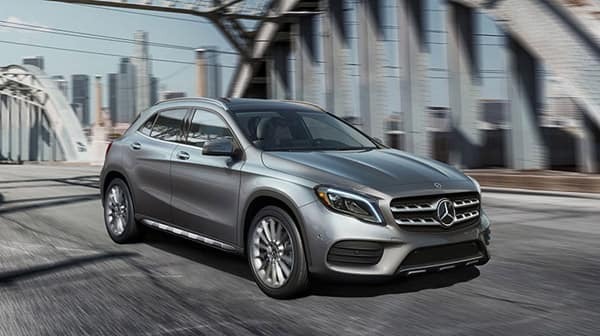 Starting at $47,300, the spirited 2019 GLC Coupe houses a 241-hp 2.0L turbo 4-cylinder engine, a 362-hp AMG®-enhanced 3.0L biturbo V6, and two versions of an AMG® 4.0L biturbo V8 — one generating 469 hp and the other producing 503 hp. The 19-inch wheels, sculpted LED headlamps, and curved roof immediately capture the attention of onlookers, while the cabin cossets drivers with a 7-inch display, dual-zone automatic climate control, and 49.4 cubic feet of cargo space. 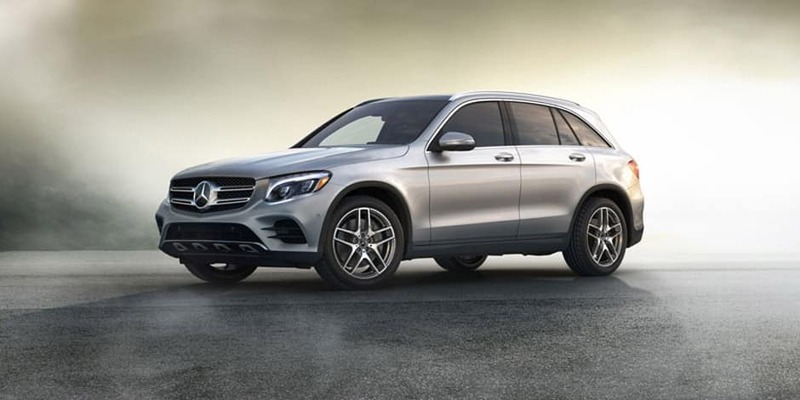 Priced at a base rate of $55,700, the 2019 GLE SUV‘s six trims output 329 to 577 hp. 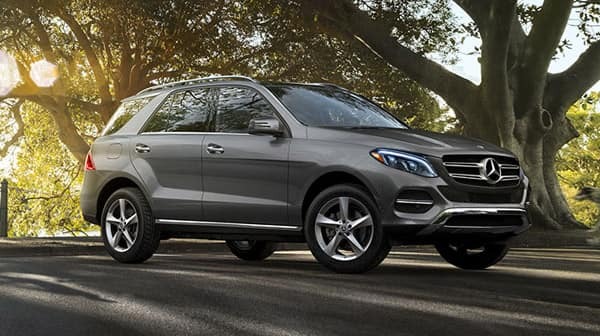 Capable of towing as much as 7,200 pounds, the GLE relies on performance features like DYNAMIC SELECT® and ECO-START® to balance formidable power with impressive efficiency. 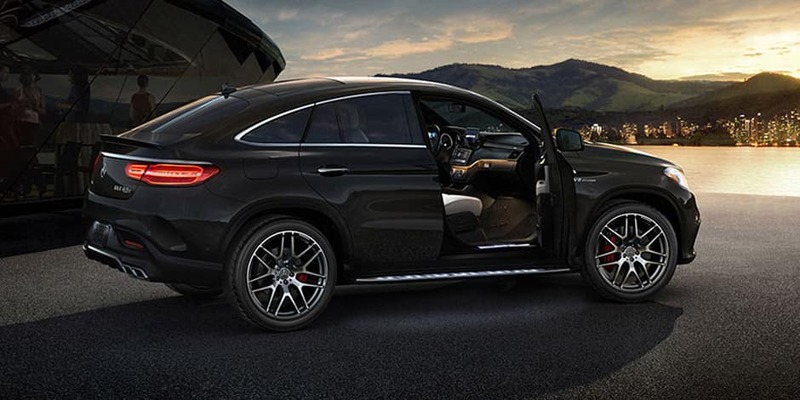 Powered exclusively by AMG®-enhanced engines, the 2019 GLE Coupe dishes out 385 to 577 hp. 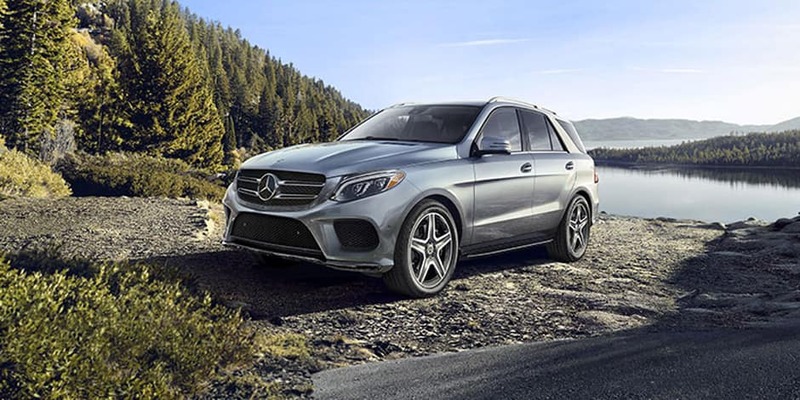 An SUV with a coupe’s essence, the GLE includes AMG® Sport Suspension, AMG® Performance 4MATIC® all-wheel drive, COMAND® navigation, and Apple CarPlay® — all for a starting MSRP of $71,350. 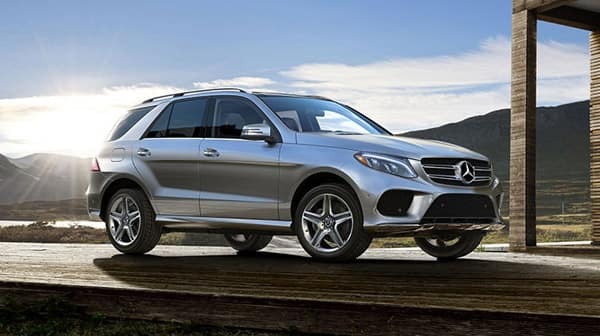 Thanks in large part to its three engines, the 2019 GLS SUV — $70,150 starting MSRP — tows up to 7,500 pounds, and produces 362 to 577 hp. 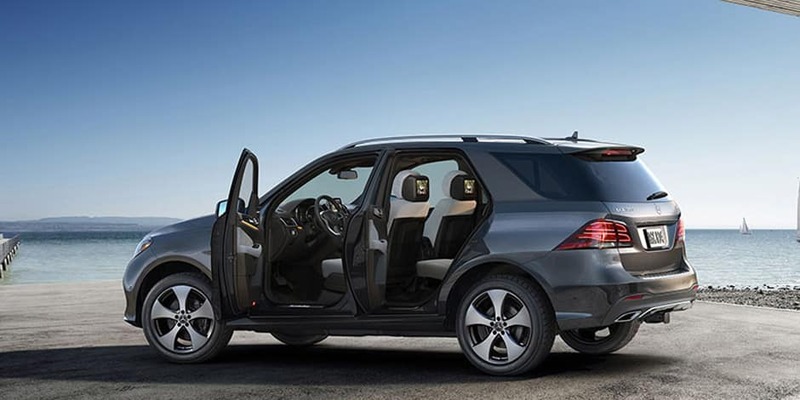 The GLS SUV features a seven-passenger cabin, complete with a 7-inch display, optional designo® leather upholstery, a rearview camera, and up to 93.8 cubic feet of cargo space. 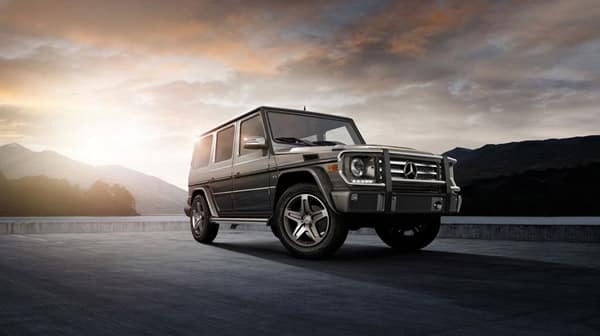 Immediately recognizable, the 2019 G-Class SUV — $124,500 starting MSRP — tows up to 7,700 pounds. It features two engines with the following specs: 416 to 577 hp and 450 to 627 lb-ft of torque. 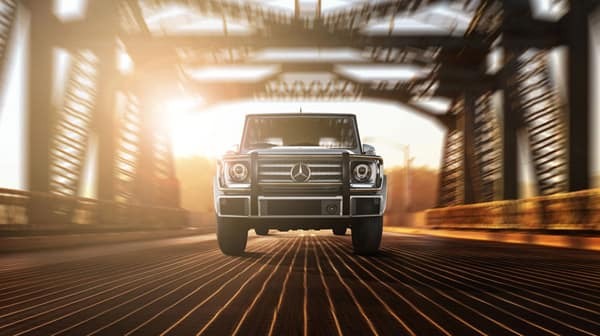 For greater performance and efficiency, the G-Class comes equipped with NANOSLIDE® cylinder wall technology, a 9-speed automatic transmission, and ECO-START®. Starting at $64,200, the seven-passenger 2019 E-Class Wagon is offered in two trims: E 450 4MATIC® and AMG® E 63 S. Each offers its own unique engine: a 362-hp 3.0L biturbo V6 and a 603-hp AMG® 4.0L biturbo V8. 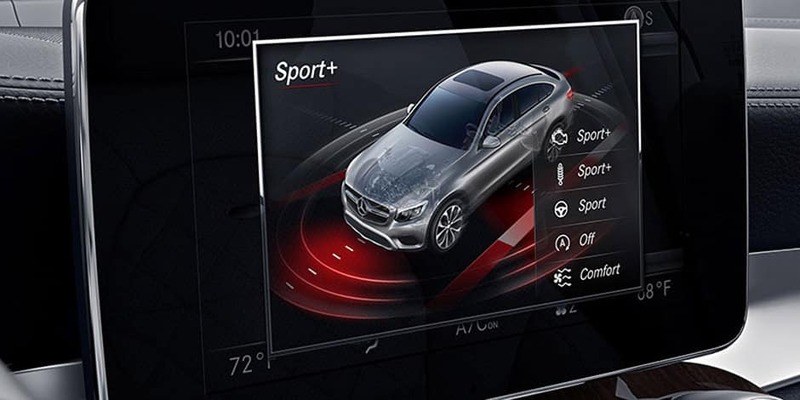 You’ll get all the comforts of the E-Class, including 64-color ambient lighting and a 12.3-inch display. 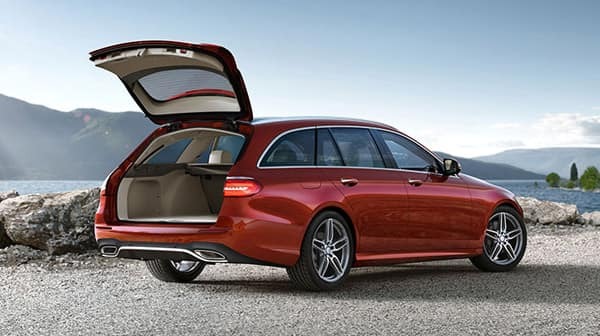 With the two rear rows folded, the E-Class Wagon offers up to 64 cubic feet of space. Test Drive Your Dream Family Vehicle! 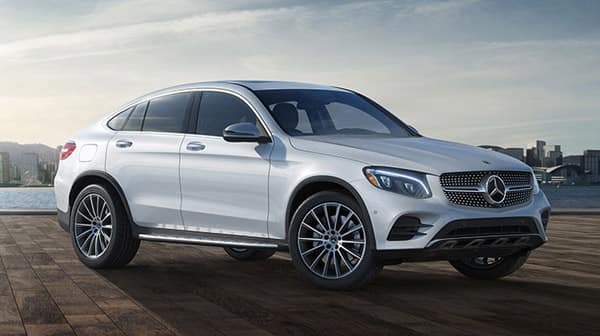 Fletcher Jones Imports is home to the latest additions in the utility vehicle lineup, from the fuel-efficient GLA, to the seven-passenger GLS, to the military-grade G-Class. To see the new SUVs and Wagons up close, schedule a test drive, or take a short trip to our dealership near North Las Vegas! 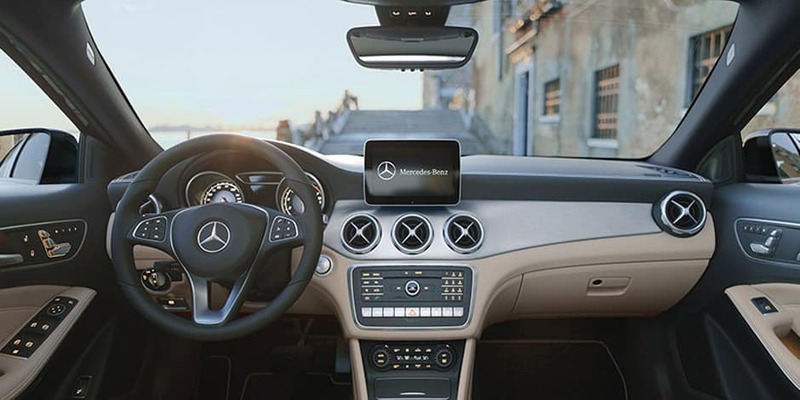 In addition to a stunning vehicle lineup, you’ll also find a Mercedes-Benz Certified Service Center, ready and willing to take care of your auto repair needs post-purchase.